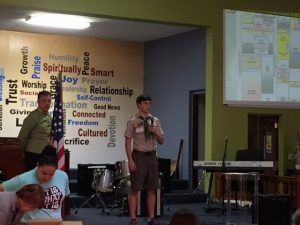 On April 30, I attended the West Central Florida BSA Council’s Merit Badge University at Mount Zion Progressive Baptist Church, 955 20th Street South, St Petersburg, Florida. Before several hundred Scout participants, I described the Sustany® Foundation Mini Grant Program and distributed printed materials on the Foundation. The Sustany® Foundation is now providing mini grants, up to $250.00, for Scouts working on Eagle Projects promoting sustainability in our community. 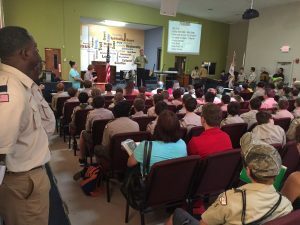 These grants will initially be available for Scouts in Pinellas County with a special focus on St. Petersburg. To receive a grant, the project must involve sustainability Scouts can apply at the Sustany® Foundation Website (http://sustany.org/mini-grants/).